This philosophy is part of what drives the resurgence and innovation of natural practices occurring in the realm of green beauty. When we understand what our products are made of and how their ingredients either benefit or harm our bodies, we can make educated decisions on how to best care for ourselves. And with this valuable information, herbalist, skincare expert and author, Susan M. Parker is empowering every curious mind to do just that. 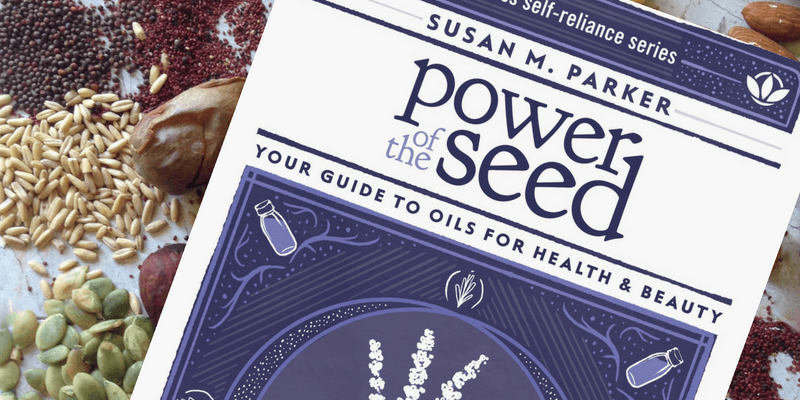 Through classes, podcasts, blog posts and her book titled, Power of the Seed, Susan is providing an invaluable education on the often overlooked materials of the health and beauty world- lipid oils. When discussing oils and their use in beauty, we seldom hear in-depth conversations surrounding lipid oils. Understandably, essential oils tend to be at the forefront, but Susan opens up a world of potential for the many uses and benefits of their more stable counterparts. Through various formats she explains the distinction between lipid and essential oils lies in their chemical makeup. Commonly known as carrier oils, lipid oils are long fatty acid chains of carbon that are heavy, reducing volatility and therefore decreasing scent. On the other hand, essential oils consist of volatile compounds that enable the aromas we know so well. Susan’s book explains how understanding these patterns in the oil structure give us clues as to what their unique properties are and how to get the most out of their use. Common in so many products, it’s clear that using oils in skin care can benefit all skin types. It’s through understanding the differences between oil makeups that allow us to choose the best one for our skin type and concerns. Susan explains how different oils interact with our skin by acting as either emollient, humectant or occlusive depending on their composition. Emollient oils replenish and return moisture to the skin, humectants attract moisture and occlusive products protect by laying on top of the skin to prevent moisture loss. A thorough understanding of how each oil will affect the skin enables one to choose the right oil for your beauty practice. With such a wealth of knowledge, it’s clear that Susan has been studying oils for a very long time. 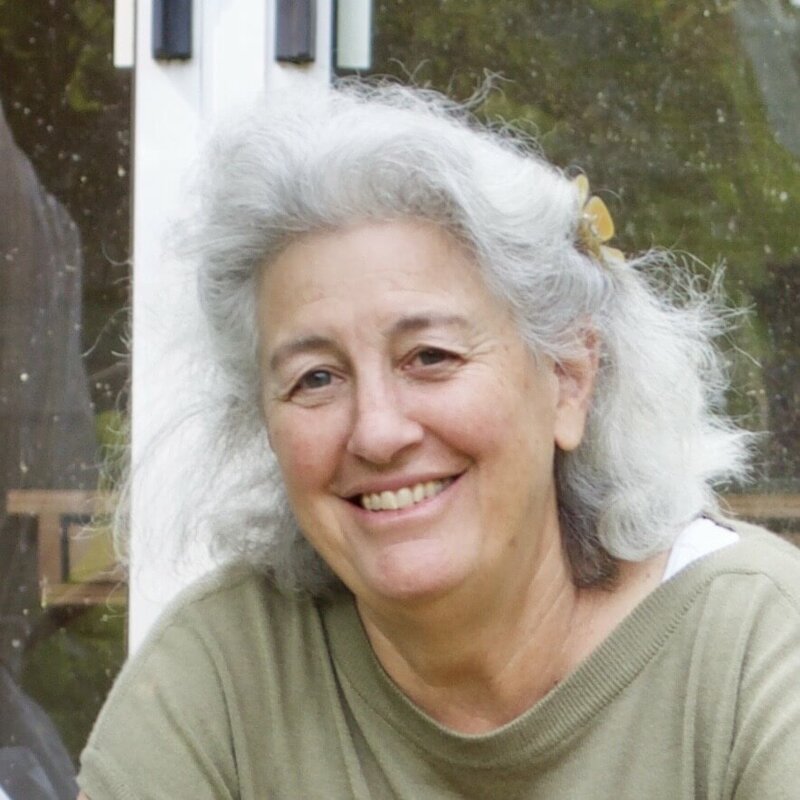 Susan began her journey into herbalism and oils 25 years ago when she entered an herbal apprenticeship with Pam Montgomery in New York. She developed an herbal business which evolved into creating topical products. Her ardent curiosity led her to research the many benefits of oils, and what started out as a collection of personal reference material eventually turned into her first publication in the spring of 2015. The ultimate fixed oil reference guide, Power of the Seed: Your Guide to Oils for Health and Beauty, conveniently organizes oils by their fatty acid profile. These explain the scientific composition of each oil, allowing the reader to understand how they interact with our body’s chemistry for both health and beauty. Her graciously free Carrier Oil Guide, serves as a condensed version which lists oils by their dominant fatty acid to find the ideal oil for your needs. Both are excellent resources for anyone looking to optimize their practice, improve their diet or dabble in making their own products. Down to Earth with a straight forward approach, Susan had some inspiring insight and sage advice when we sat down together to talk about her philosophy on clean beauty. Q: What or who inspires you most? Susan: Nature, the materials themselves. 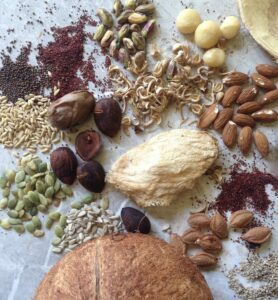 When you work with them over time they teach you all about themselves and how they work with the body and other ingredients. Q: What lessons have you learned the hard way? Susan: Haha, lots of experimentation and lots of failures! These are the pathways to success and discovery. For starting any career, find an area that you love and are passionate about and then dig deep into it. Become a specialist in one area so that people come to you for answers and that way you can grow and develop over time. Susan: Health, a healthy body is beautiful. Q: How do you feel about the direction the beauty industry is going regarding clean and green products? Susan: This is great. This is what I wanted to see 20+ years ago when I started. Q: If you had to choose one all purpose oil, what would it be? Susan: That’s hard, like choosing among my children! But I will say that in a recent move and international travel it was Argan that went with me until I settled with my larger inventory of oils in my new place. Q: Do you have any advice for someone starting up their own business? Susan: For starting any career, find an area that you love and are passionate about and then dig deep into it. Become a specialist in one area so that people come to you for answers and that way you can grow and develop over time. After a long and successful career owning and operating her skincare business, Susan is currently stepping away from creating her own products to focus on her classes and research. She remains inspired by those who are just as curious as she is, prompting her to seek new information and continue the search for the ultimate oil guide. When asked about what’s next for her, she says she’s interested in learning more about the process of oil pressing and may be considering a second book on butters. If this is the case, we can’t wait to get our hands on it. We want to thank Susan for all of her hard work throughout her career and wish her all the best in her future endeavors. You can sign up for her offerings at susanmparker.com where she has more information and sign up for her classes, The Carrier Oil Course and Lipids Decoded, as well as the monthly membership, the Lipid Hub. By clicking this link you can learn more about carrier oils in a hands on format. You can also visit her website to To purchase her book, Power of the Seed, or download her free Carrier Oil Guide. To listen to her podcast with Herbs & Oils, check out the link here.